Resistant and useful for all your travels, the 727 Sailbags travel bags have a practical design and are cabin size approved. 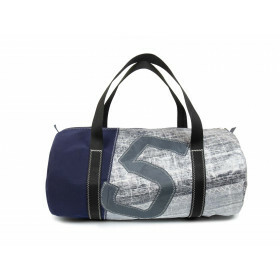 Enjoy a wide selection of travel bags, in 100% recycled sails. A gift for you or to offer, be tempted by our Onshore, the men's travel bag or the Carla, our women's weekend bag. Do you dream of a cabin friendly travel bag that allows you to fully enjoy your flight? Or a large travel bag to serenely escape away on weekends? You have just found them. Now, you just need an excuse to travel!